Home News The most famous street in Paris became a blazing battleground. Here’s why. 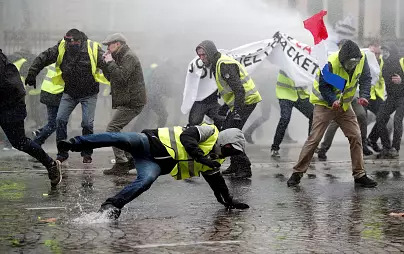 Thousands of demonstrators known as “Yellow Jackets” due to their fluorescent garb descended into the streets across France over the weekend to protest planned tax hikes on gas. The demonstrations started earlier this month and have morphed into a wider rebuke of Macron’s presidency and his attempts at economic reform.Macron condemned attacks on police officers in a sharply-worded tweet, saying there is “no place for this” in France. Macron has so far refused to reconsider the hikes which he says will help reduce France’s dependence on fossil fuels. By raising the cost of diesel, the French government hopes to convince more people to buy less-polluting vehicles. Are France’s powerful unions involved? Downing said this self-organized approach was a relatively new phenomenon in France which has historically relied on unions to organize dissent.”I think there is a lot of disillusionment with the unions as well,” he said. 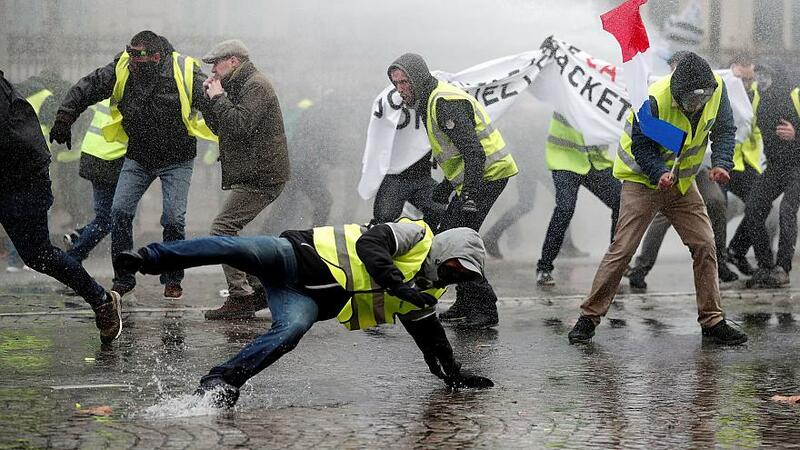 Almost eight-in-ten people in France support the “Yellow Jacket” protests, according to a poll published on Friday by the Figaro newspaper and public radio broadcaster Franceinfo. 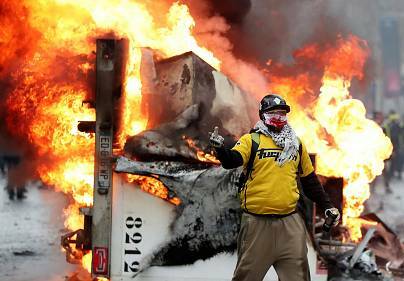 Do the protests have anything to do with the far-right? Castaner, the newly appointed French interior minister, said that far-right protesters joined Saturday’s rally in the Champs-Élysées after Marine Le Pen encouraged them to attend. Le Pen — who is the leader of the far-right National Rally party, which was formerly known as the National Front — has expressed her support for the “Yellow Jacket” protests butcondemned any violence. Macron’s ravamp to labor laws — which has made it easier for companies to hire and fire their staff — resulted in thousands of demonstrators taking to the streets in Paris in May. She noted that protesting was a part of France’s political culture and could only be expected in response to Macron’s agenda.”That is the challenge when reforming France. Whenever the reform is a little bit ambitious you’ll have the entire streets against you,” Krumbmüller added.”I always say, ‘you say reform and they say strike,'” Krumbmüller joked.